The Adventure Starts Here: Fri-Yay! What a week! I finally feel like we are back into our normal routine. 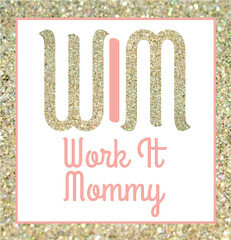 Filled with school, swim, play dates, and lots of purging, organizing, and a little decorating. And while routine is great, I'm also looking forward to a 3 day weekend since Chris gets off work for MLK Day! Noah had a first this week... his first trip to the dentist! We planned to go this fall, until we found out that we forgot to add Noah to our dental insurance in 2015. So we held off, added him to our insurance, and made an appointment for first thing in 2016. We talked it up, made it sound fun and exciting, and it all ended up going great! The office was great and the dentist was so nice walking Noah through every step. She showed him what every tool was by trying it out on his finger and it really seemed to help. I could definitely tell he was nervous, but he handled it well. And he was very excited to leave with a yellow balloon, a blue bouncy ball, a Paw Patrol sticker, and a Jake toothbrush! By now you are probably aware that we like to recreate photos around here. So when I stumbled upon this photo that Chris and I totally forgot was even taken, he immediately wanted to recreate it. Chris sleeps on these little blue pillows and Noah has become obsessed with playing with them. And now that Noah's getting older, we can just show him a photo and he even gets excited to recreate it. This week, Noah and I took a trip to Home Goods. Chris gave me a gift card for Christmas and while I'm always up for some shopping, Noah also loves Home Goods too! He asks to go to "his section" with all the Bruder trucks. And boy did they deliver with a whole aisle of them. Thankfully, Noah handled it well when I told him we didn't need the cement mixer and was happy with a puzzle instead. Noah wasn't the only one who got something... I also scored some great finds for our kitchen. While I've hung a ton of frames on our main level and upstairs, I still have a ton of frames waiting to be utilized. Most of them are from Noah's old nursery in our apartment, and I've finally decided to hang them in the staircase down to our basement. So like I always do, I take some old wrapping paper, cut it out to the size of the frames, and map out gallery wall using some painters' tape. The best part is that my dad then comes over and hangs all the frames while I'm out. It truly is the perfect set up! Noah is going through that awkward stage with naps. For the most part, he doesn't nap anymore. We no longer "go up for nap", but he does sometimes fall asleep. If we are in the car between 2-5, he almost always falls asleep. He also sometimes falls asleep if he's watching his iPad or the TV. I don't mind it if this happens earlier in the afternoon, but if it happens after 4, it royally messes up bed time. Chris absolutely loves when he naps because it means he gets to play with Noah for a while when he gets home work. 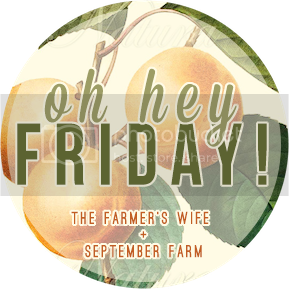 I'm linking up with The Farmer's Wife and September Farm for "Oh Hey Friday"! I'm also linking up with A. Liz Adventures for "Five on Friday". You are a genius. I have been wanting to do a gallery wall in our family room and I get too scared that I won't like the placement of things. I have never thought to do the wrapping paper map out! I cannot wait to tackle this project in the next couple weeks! Yay for a successful first trip to the dentist! Great idea to use the wrapping paper as a starting point for your gallery wall. I've been dying to do a gallery wall in our living room but I don't even know where to start. I need to try this wrapping paper trick! This weird nap stage!! I hate it! I've always loved Cam's long naps, but I am not digging that he stays awake until 9, when he does! Love your Home Goods finds!! I never leave their empty-handed! 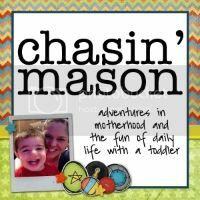 We are taking Cam to the dentist on Tuesday...I am not looking forward to it! I am so glad to heard that your trip went smoothly. ;) Have a great weekend! and now i'm off to call the dentist. because lex is WAY overdue. 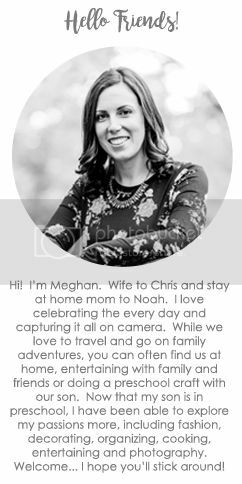 i hope she does as well at noah did! Yay for the dentist! Our first visit was great too! Gotta love that they leave with all kinds of goodies and they think it's great! I love the idea of recreating the photos its weird to see how much children grow in such a short space of time. We're in awkward nap land over here too. I still make Reed go to his room, but most of the time he just plays with his stuffed animals and sings and what not. I kind of love that he's in bed, almost passed out by 7:45 at night, but he's been so testy in the evenings. It seems like this transition goes on forever. Glad to hear the dentist went well. Looks like you guys handled it really well for Noah. And I hope you recreate that picture many times over the years! So much fun. I have yet to recreate any photos but I really should start doing that too. I'll have to keep an eye on my Time Hop feed for some good ones. A Super Snow Filled Weekend! Our Week With Daddy Home!